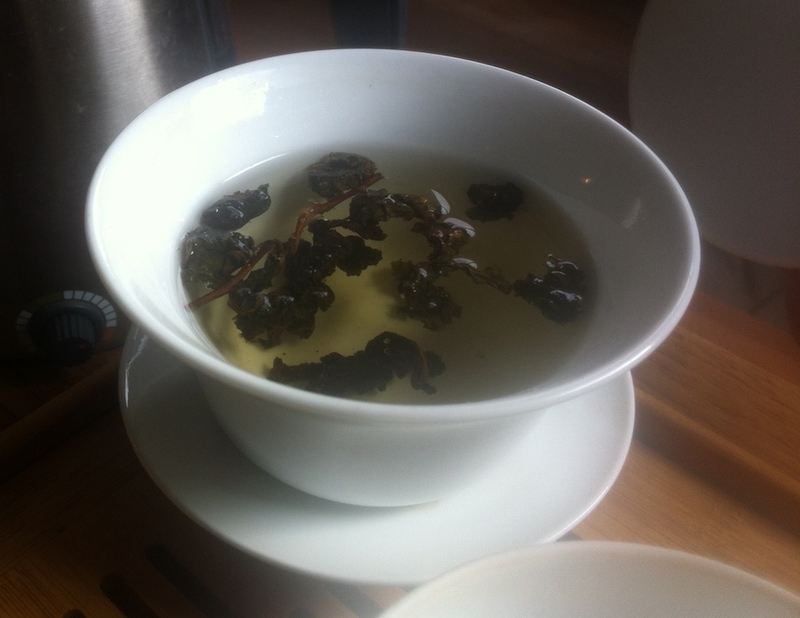 Buddha’s Hand oolong, or Fóshǒu (佛手), is an oolong made from a very large leaf cultivar of Camellia Sinensis. The taste of the tea is a bit of a mystery, because to me it tastes very roasted, but very light at the same time. It’s like Yán chá (rock tea) White tea. I’d really love to know more about its production. This tea was purchased in Taipei in a small shop that I stumbled into while looking around the city. It took me quite a while to understand what we were tasting, because the name in Chinese, “Fóshǒu”, sounded like “Fossil” in English. I and my friends kept calling this tea “fossil tea” until we ended up at this shop, where it was the only tea they sold. Finally we understood that this was something unique and delicious. 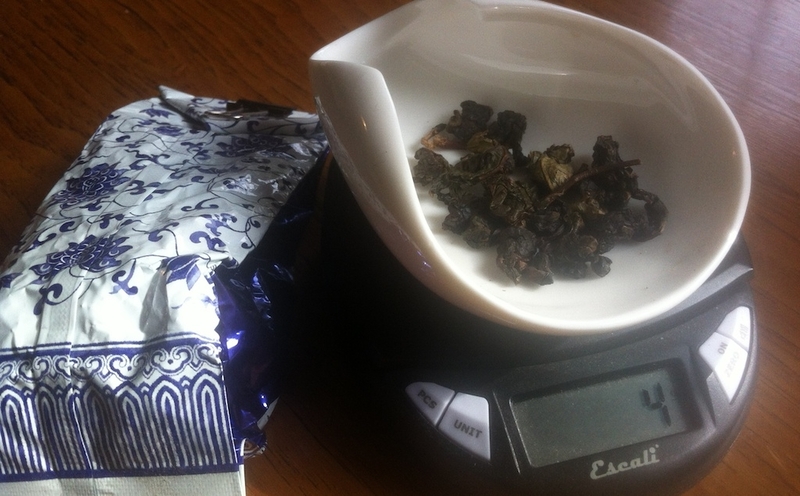 This is one of the teas I decided to test in my grand (old) tea tasting experiment. I’m a little behind. For my first infusion, I used 4g for 1.5min at 90C. The specifics are not that crucial, but I’ve taken to using my scale more and I think it’s really improved my cupping. The liquor has a light tan color. The taste is, as I mentioned, a very light flavor and a dark roast at the same time. Even though it tastes quite dark, the roast is soothing and nowhere near the intensity of a Wuyi oolong, also lacking the sweetness of a Bai Hao. Second infusion at 2min is slightly darker in color, but still only a translucent brown. The flavor remains the same. It’s a comforting tea, if lacking in aroma. It reminds me of Japanese Hojicha in a way. If I remember correctly, there was only a little more flavor when I purchased it originally all those years ago. I can’t find any of my tasting notes from that trip at the moment, so I can’t say for certain, but I remember it being light and comforting even when it was fresh. If I’m right, it’s held up quite well. I’ll keep this one for now. 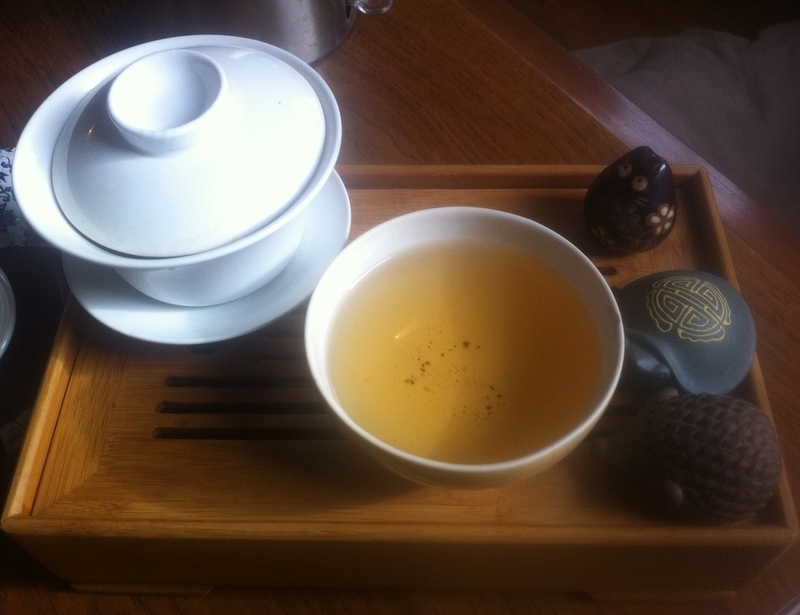 This entry was posted in Tastings and tagged buddha, oolong on November 6, 2013 by payton.